SEOUL, South Korea, Feb. 8, 2019 /PRNewswire/ -- Natural Substances Lab, operator of Korean cosmetics brand DEMAR3, unveiled their new product, RE:9 TUNER, at the DEMAR3 new product release conference in France. 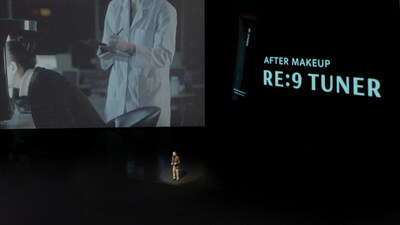 The cosmetics research team at the Korea Natural Substances Lab stated: "We developed RE:9 TUNER, focusing on the fact that how makeup tends to breakdown over time and touch ups get even messier than before." The product uses Michell structures to breakdown caked up layers of makeup and moisturizes the skin from inside with silk amino acid to help customers when they fix their makeup. Natural Substances Lab took the time to present the product and answer questions from the audience, while satisfying them further with an on-stage demonstration.